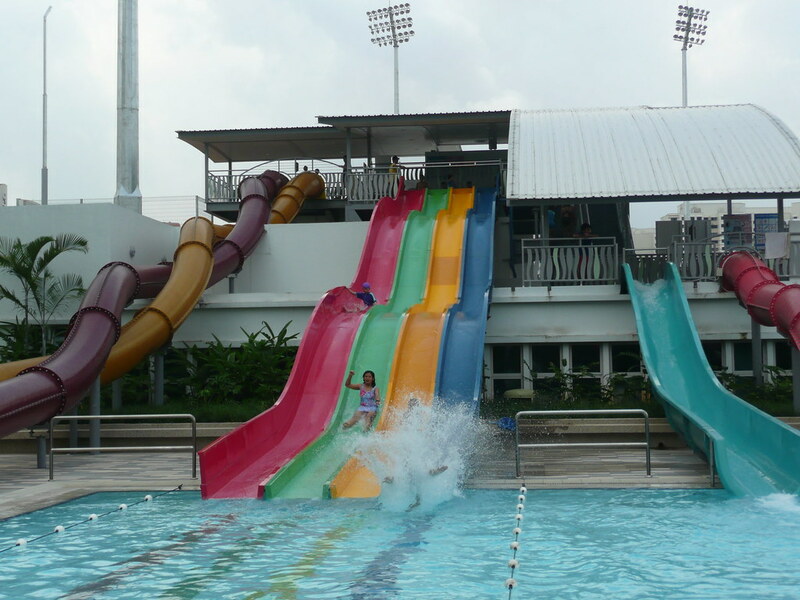 Enjoy those sunny days in Singapore by taking a splash at the Sengkang Swimming Complex. Located in Anchorvale, Sengkang, this wonderful recreation centre is synonymous with one word: fun! With several swimming pools and a total of eight water slides, the whole family is in for a treat. There are many swimming guards who will keep a close eye on your kids whilst they swim so you don’t have to worry about their safety. The large Jacuzzi pond is where you can soak in the water jets as your toddlers walk and jump in the shallow pool that is specially designed for them. For those who love a thrill ride, try the speed-slide, the twist-slide or the free fall. You will be screaming in fright as you hurtle down at crazy speeds! During the days when the weather is poor, you can still swim in the large indoor pool which is also used as a teaching pool for amateurs swimmers. When the adrenaline subsides, it’s time to sample the Sengkang Floating Wetland located just next to the pools. You will be fascinated by the numerous bird species, turtles, fish and other animals as you walk across the floating bridge. Apart from the pools, there are many sports facilities that can be found here including an artificial soccer field, an indoor sports hall and a hockey pitch. The indoor hall is a true sports centre because it houses 12 badminton courts, one multi-purpose court for either basketball or volleyball and retractable seating space for as many as 200 spectators. There is also a dance studio and gymnasium too! You will be impressed to know that the complex has several restaurants offering wonderful food ranging from traditional Singaporean cuisine, seafood as well as fast-food. Swimming lessons are also offered here by the very experienced teachers. Adults, children and seniors are welcome.